The chicks are back in town, and I don’t mean summer au-pairs from the Czech Republic. In fact, these two particular chicks, when fully grown, will be able to dive on their prey at speeds of up 175mph! Peregrine falcons are nearly world-wide in distribution and were once common all over Europe. They were particularly common in the Middle Ages when the sport of falconry flourished but by 1945 had become extinct in Sussex. Various breeding programmes and greater pesticide control led to a return in 1990 with more than one thousand pairs in Britain today. Four eggs were laid in a nesting box on the top of Sussex Heights. Of the three that hatched, two survived and when fully grown, should have a wingspan of up to1.2m. Check out www.regencybrighton.com/birds for an update on their progress. 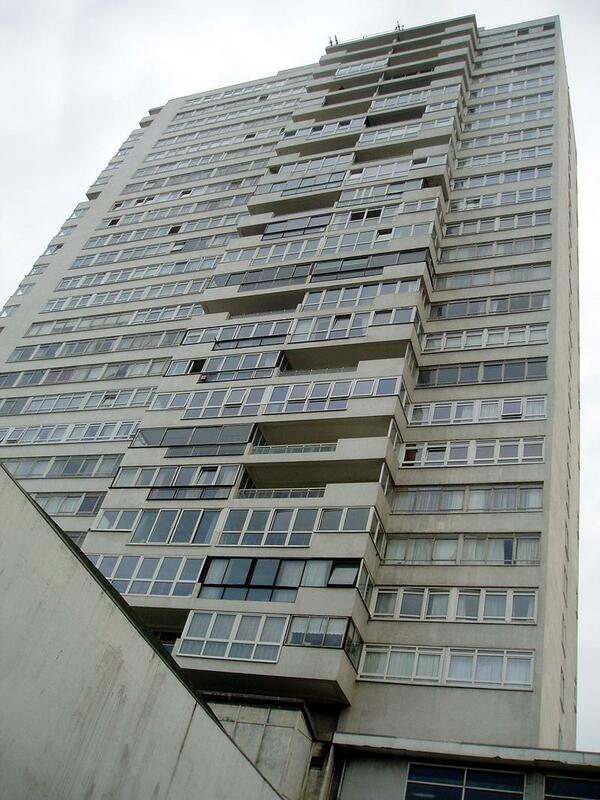 Sussex Heights, the tallest building in Brighton, is 82m in height followed by Chartwell Court then Theobald House at 66m and 63m respectively. It is owned by the freeholders of the Metropole Hotel and is held on a long lease by a company in which each flat-owner has one share. The Sussex Heights Residents Association is in place to keep a check on maintenance, etc. Above the ground and service floors, there are twenty-three residential floors with five flats per floor with a penthouse floor above. I must say that the chicks were quite right to go for the penthouse as it takes up a whole, though slightly smaller, floor to itself – what an amazing view! Architects R. Seifert and Partners designed the block and accompanying hotel conference centre which was completed in 1966 with the beautiful St. Margaret’s Chapel, several notable houses and an ornamental garden being destroyed in the process. The respected writer, Dr Seldon of Brighton College, said, “Sussex Heights and the Hilton West Pier are bad buildings, not because they are tall, but because they were designed by people of no architectural integrity”. Quite. So what is my opinion of the building? Bearing in mind that peregrine falcons are known to be one of the most deadly hunters in the world, I shan’t be too critical of their home. Even though these are two ugly ducklings that I wouldn’t want to fall out with (especially at that height), I still must say that this is perhaps one building that shouldn’t have gone up – the height precedent is now irreversible.